Come be part of one of the most attractive and affordable neighborhoods of West Carmel with easy access to I-465 and many shopping areas. MLS#21628375. F.C. Tucker Company. Setters Run - Neighborhood Pool, Walking Trail and Park! Carmel Address & Westfield Schools! MLS#21629635. F.C. Tucker Company. Convenient location just minutes to all the things you need! MLS#21628972. IC Homes LLC. All of this, plus a fabulous location minutes from Carmel's Arts & Design District, top-rated Carmel schools and easy access to downtown Indy. MLS#21628148. F.C. Tucker Company. Saddle Creek - And, if like to entertain you will enjoy the formal dining room as well as the theater room in the basement. Welcome home! MLS#21628939. 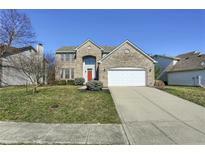 Keller Williams Indpls Metro N.
Cool Creek Estates - Investment opportunity or finish cosmetics to your taste and make it your forever home! MLS#21628354. Keller Williams Indpls Metro N.
Harrowgate - Large screened porch off of family room with views of the beautifully landscaped waterfall. Lovely place to call home! MLS#21628161. RE/MAX Ability Plus. Eden Park - New roof, new double-hung windows, new painting, new flooring, new appliances/water heater. Must see! ! MLS#21629340. Curtis Realty, LLC. Eden Village - Unique features such as skylights, vaulted ceilings, and dining room bay windows give this house a style of its own! MLS#21629460. Nest Real Estate. This Gracious Home Works For All - Couples, Families, Must See To Appreciate. MLS#21629208. F.C. Tucker Company. This one won't last long! MLS#21629058. RE/MAX Legends Group. Village Of WestClay - Fabulous Village of WestClay Amenities include pools, pocket parks, fitness center, concerts. MLS#21622320. F.C. Tucker Company. The Woodlands - This home brings you peace of mind with an elegant touch. 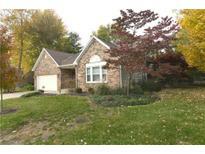 MLS#21629195. Keller Williams Indy Metro NE. 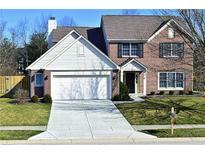 County Meadows - This home is in impeccable condition and wont last long! MLS#21629185. RE/MAX Elite Properties. Wilson Village - Master bedroom on main level. Kitchen / family room enjoys fireplace. MLS#21628654. Chapman-Osborne Legacy Rltrs. 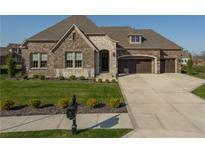 Laurelwood - There Is Nothing That Can Compare To This Exquisite Home! MLS#21628886. F.C. Tucker Company. Entertain your family & friends on your main floor deck. MLS#21628931. ERA Real Estate Links. Trails At Avian Glen - Upstairs features Bedroom 2 & 3 sharing a Jack-n-Jill bath plus Bedroom 4 with private bath. MLS#21628826. ERA Real Estate Links. Finished Basement features Built-in Bookshelves, Home Entertainment room, Work-Out Room w/Egress Window, Full Bath and Wet Bar. Plenty of unfinished storage space. MLS#21626256. ERA Real Estate Links. Stafford Place - New irrigation system added in April 2019. MLS#21627944. F.C. Tucker Company. Look no further, this home has it all. MLS#21628890. F.C. Tucker Company. Brookstone Park - Large stone patio w/pergola, perfect for sunny days & summer entertaining. MLS#21627017. CENTURY 21 Scheetz. 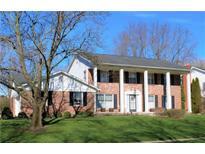 This beautiful home has it all--located near shopping, superb dining and just one easy mile to Carmel’s Monon Trail. MLS#21628279. F.C. Tucker Company. Thistlewood - Large wood deck with mature trees. MLS#21628730. Paradigm Realty Solutions. Spring Mill Estates - Listed & Sold MLS#21628515. F.C. Tucker Company.